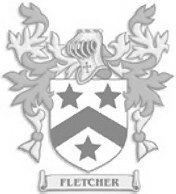 This is some general history related to the Fletcher name. FLETCHER- Like many names derived from occupations Fletcher (an arrow-maker) is as common elsewhere as it is in Scotland. Most Highland Fletchers came from the 'Fleisdhaires' ('Mac-an-leisdeir') who stoutly proclaimed that they were the original inhabitants of Glenorchy in Argyll wherein, tradition relates, "they were the first to raise smoke and boil water". 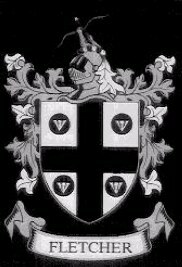 In 1497 this clan entered a bond with the Stewart's of Appin against the Macdonalds, but a similar bond with the Glenorchy Campbell's in 1587 did not prevent the infamous Black Duncan of Glenorchy from plundering their ancient home at Achallader on Loch Tulla. Thereafter, some went to Islay, Jura and the Colonies and by 1719 the Chief, 'Gillespic-na-Crannaich', a loyal Jacobite who was involved in the 1715 rising, had removed himself and his family to Dunans in Cowal where descendants still live. 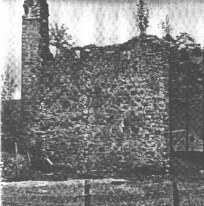 They took with them the main door of Achallader Castle which can still be seen at Dunans, but it was not until c.1830 that the last Fletcher left Glenorchy. 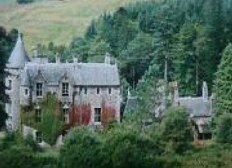 The Fletchers of Pubill in Glen Lyon, Baravurich, Cambuslain, and Bernice, were all descended from the Achallader line, and of these, some made frequent pacts with the MacGregors to whom they were arrow-makers. 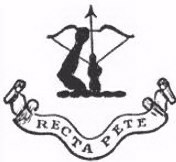 The Fletchers of Innerpeffer in Angus acquired Saltoun in East Lothian about 1643, and from this line came Andrew Fletcher whose advocacy of the rights and liberties of the common people were included in the 'Act of Security' at the time of the Union of Parliaments in 1707. Dunan's Castle-The Dunan's Castle only dates from 19th century because that is when it was elevated to castle status but there has been a settlement at Dunans since 1590. 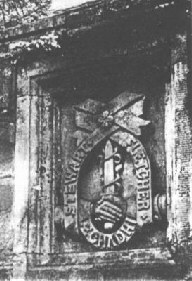 The Fletchers arrived in 1764 bringing a door which gives the story of the Fletchers carrying the castle door from Auchlleder Castle from whence they were asked to leave. 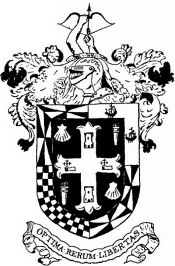 Stewart Fletcher Pact- In 1497 the Fletcher's took part in one of the fiercest clan fights ever joining the side of the Maclarens, together with Stewart's of Appin, against the Macdonalds. The Maclarens were raiding the Macdonald country, and were driving some of the Macdonalds cattle when they were over taken at Achallader by the Macdonalds. The Maclarens were outnumbered, and Stewart and Fletcher came to their assistance. During this battle Donald Macdonald of Keppoch and Dugald Stewart of Appin were slain. 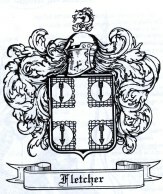 The Stewart's of Appin thereafter entered into a bond of friendship with the Fletcher, in the dirk. A plaque on the wall outside Dunans in Glendaruel commemorates this alliance. The agreement was for mutual assistance if and when the necessity arose, the Stewart's agreeing to pay the 'eirig' for any crime committed by any of the Fletchers. 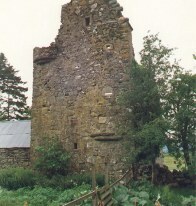 Achallader Castle- This Campbell of Glen-orchy stronghold was built in 1600 by the 7th laird, Black Duncan, known as Duncan of the Seven Castles, after he had taken possession of the lands from the Fletcher's around 1590. It had 3 stories and a garret and was well supplied with shot -holes. 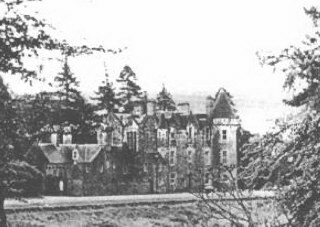 It was burned during the Jacobite rebellion of 1689 and never restored, but in 1691 John Campbell, Earl of Breadalbane, summoned Jacobite leaders here to sign the Treaty of Achallader, an armistice in their fight to restore James VII. Achallader Cemetery- There are six grave stones standing here clearly marked and readable. Five belonging to Fletchers and another is a memorial to John McCallum of Altnafeidha and his two sons.
" God for us" "Aim at high things"